Transferrable skills are a valuable asset in today’s uncertain job market. 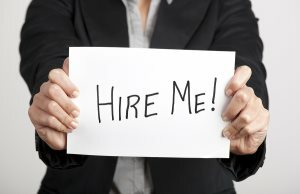 New graduates, in particular, may find themselves facing the age-old conundrum: to get the job, you need experience, but you can’t gain experience without first getting the job. This Catch-22 can feel completely paralyzing, but never fear: chances are, you already have at least some of the skills to break into the career of your dreams. The trick is identifying those skills and relating them to the job you want. Whether you’ve just graduated from high school, college, or even a doctoral program, it can be difficult to connect what you’ve learned in the classroom or at a part-time job with the real-world skills needed to start your career. The first step is to make a list of all the classes, extracurricular and volunteer activities, and jobs you’ve held. Next, identify the key responsibilities and accomplishments for each of the items on your list. Finally, write out the skills and abilities that allowed you to succeed in these activities. For example, if you worked at a pizza parlor during the summers, your responsibilities might have included taking orders in person or over the phone, following recipes exactly, and delivering the customer’s food on time. Perhaps your team earned recognition for its sales figures during the quarter you worked there, or maybe you were voted employee of the month. These tasks and accomplishments may seem far removed from, say, working in finance or healthcare, but let’s take a look at the skills involved: communication, customer service, attention to detail, meeting deadlines, and working with a team. Those skills will transfer to almost any workplace. For additional help identifying your hidden strengths, take a look at the key skills below or take a self-assessment here, here, or here. Ability to meet deadlines: No matter what career path you pursue, you’ll probably have to meet deadlines. Some workplaces are faster paced than others, but you can demonstrate your skill by highlighting your history of turning in papers on time, completing time-sensitive projects at a part-time job, or organizing events for a volunteer or social group. Leadership and teamwork: Businesses look for candidates who have both the ability to lead and to work well as part of a team. Show your flair for both roles by describing successful group projects, any on-the-job advancement (being promoted to key holder at the grocery store counts! ), and leadership initiative evidenced by participation in extracurricular committees or team sports. Customer service: Serving customers isn’t limited to just food service or retail; any job that involves interacting with the public or with clients has an aspect of customer service. Doctors serve their patients, lawyers serve their clients, librarians serve their patrons, etc. Technology: All that time you spent typing term papers and doing computer research wasn’t a waste after all. Technology skills, including virtual communication and web-based distance learning, have valuable cachet in the modern workplace. While it’s expected that most jobseekers will have basic email, Internet, and word processing skills, be sure to mention proficiency in programs such as Access, Excel, Photoshop, etc. Communication: This may seem obvious, but communication is a key skill in every possible career. Whether your entire job depends on it, as with journalists and writers, or if you’ll simply be writing the odd email or memo to coworkers, your ability to communicate your ideas clearly and concisely will serve you well. Ideally, you’ve honed your language skills in English class—bonus points if you’ve managed to obtain at least basic mastery of conversational Spanish or another foreign language. Your ability to communicate is embedded in every exchange, from your cover letter to an interview, but if you’ve received advanced training in composition, be sure to mention it on your resume. Remember, it doesn’t matter how cleverly you spin your skills if your resume is riddled with typos. Always have a friend with excellent writing skills look over it for you, and try running it through a super-powered grammar checker like Grammarly. Good luck out there!